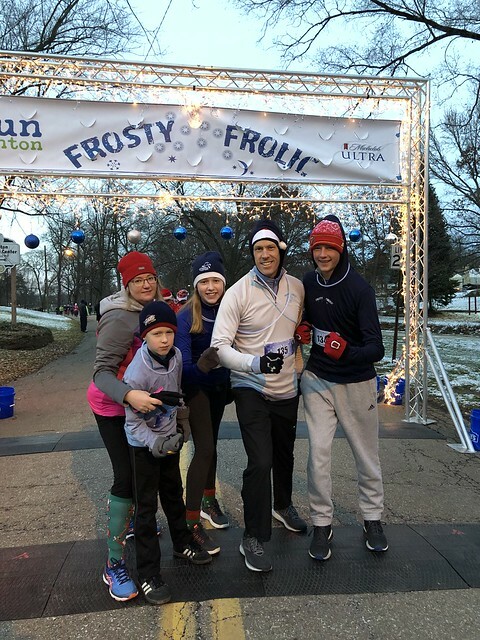 Our family has included Canton’s Frosty Frolic 5K as a part of holiday traditions for five years, now. We don’t go all that fast, but we have a lot of fun. 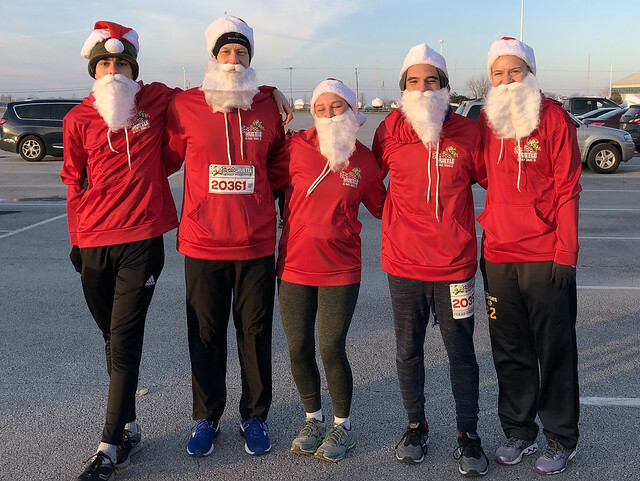 This year, though, the 5K with family on Saturday night served as a warm-up for a longer race with friends on Sunday morning: Sandusky’s Santa Hustle Half-Marathon. I’ve been training for the last several months with a group of Life Group leaders from H2O. 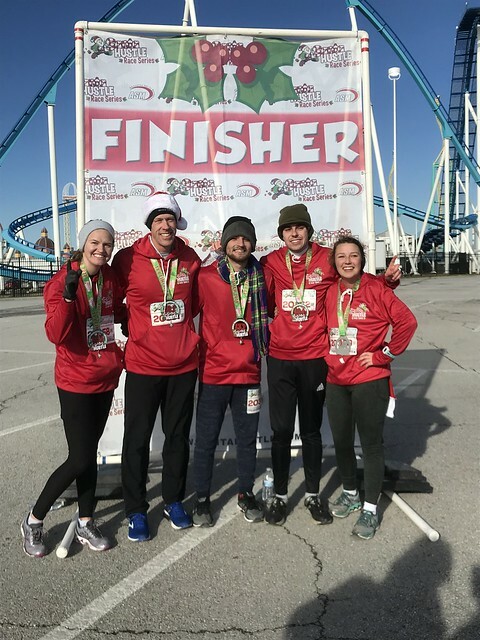 None of them had ever run a half-marathon before, so we didn’t know quite what to expect on race day. As someone with experience running at different paces, I was fully prepared for our 13.1 miles to take as long as two hours and fifteen minutes, or as short as one hour and thirty-five minutes — depending on whatever it would take to give everyone in our group at least one running companion and provide for as positive an experience of the half-marathon as possible. As it turned out, I ran the fastest half-marathon I’ve ever run! My friend David was a cross-country runner in high school, so he was naturally inclined towards speed (like a 6:40/mile pace). But he thought it might be prudent for him to go for something more like a 7:15/mile pace). So I started out with him, running two seven-minute miles right off the bat before we separated. David surged ahead for awhile, while I kept chugging along at my 7:15/mile pace — but we boosted each other again from Mile 8 through Mile 13. So I ended up finishing in one hour, 34 minutes, and 26 seconds, within 10-15 meters of David. It felt like a metaphor for the semester. This Fall has not been flashy; it’s felt rather pedestrian a lot of the time, in fact. I’ve mentally prepared for this to be one of the “slowest” or lowest-ranking semesters of all my time in Kent (and I’m still not completely sure what an accurate assessment of the semester should be). But the one thing that I have felt good about is the way that other leaders have been brought along. My friends and colleagues Daniel and AJ have started to think through more of a pastoral lens, at least to a certain extent, and I notice some clear progression in the way they’re thinking about life and ministry. Lauren has been coming along, too; I’m proud of the ways she has developed as a Staff Manager and more “senior” figure on our Staff Team. Brooke is having a great first semester on Staff, and her enthusiasm seems to be building towards making a career of it. My weekday morning “Breakfast Club” with Dylan, Jake, Morgan, Luke, and Lauren has been worthwhile, if not “wow”ing. And I really appreciate the group of Life Group leaders I coach: the ongoing discipleship dialogue between Marci, Kairie, and Rachel… the friendships forged while training for the Santa Hustle… Breakfast Club… and other flashes of brilliance on the periphery. So, in a way, I can see how this semester might be a kind of “PR” after all, albeit somewhat “accidental” and different from how I expected it might feel. 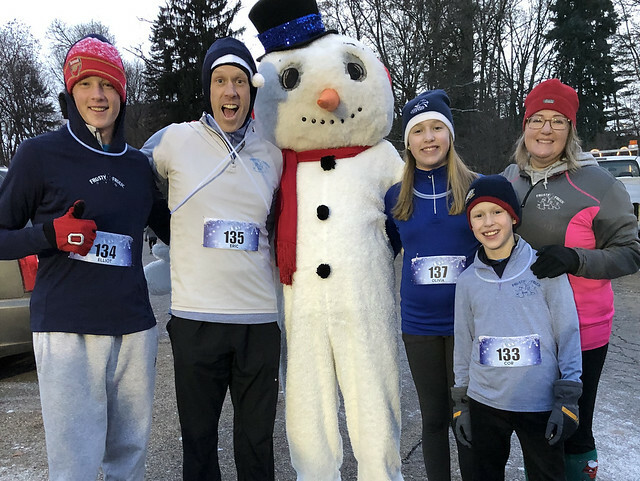 This entry was posted in Ohio, Recreation, Running, Weather. Bookmark the permalink.